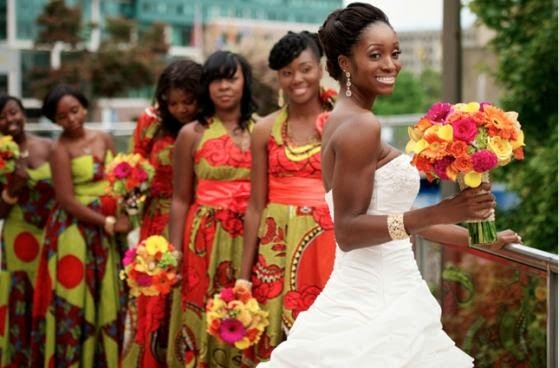 Throughout Africa a marriage could not take place without some form of gift (or “payment”) of animals, food or other material goods to the parents and family of the bride. Today people speak of this as paying “dowry”. Technically this is not dowry, but ‘bride-price’, ‘bride-gift’, ‘bride-worth’ and the most commonly used word is lobola. According to the English usage ‘dowry’ is the gift of money, goods or both, offered by the bride or bride’s family towards establishment of her household, whereas a bride-price is a marriage payment made by a prospective husband or more often, by his family to the family of the bride. It is to be remarked that the bride-price does not mean a business deal, because there is no purchasing or trade involved, but a simple exchange of gifts. The bridegroom (and his relatives) must in addition contribute labour, and in matrilocal societies, the man lives with his parents-in-law, working for them for some years to earn his wife (e.g. Jacob – Gen. 29:16-28). It is a token of gratitude on the part of the bridegroom’s people to those of the bride for their care over her and for allowing her to become his wife. Lobola is a demonstration of how much the girl is valued by both sides. It denotes respectability, worthiness and appreciation. As a valued person at marriage, she is not stolen but given away under mutual agreement between the two families. The gift elevates the value attached to her both as a person and as a wife. At her home, the marriage gift replaces her or it can be taken as an economic compensation, reminding the family that she will leave or she has left and yet she is not dead. It is verification in concrete terms that families have agreed to the marriage of the son and daughter. Lobola is a sign of approval of marriage by the families. Traditionally, if lobola was not paid, it showed that the family did not approve of the marriage. Lobola starts the process of marriage. Lobola is an expression of honour to the parents but also an undertaking of responsibility to the spouse. Paying lobola shows commitment on the part of the bridegroom and it is a serious demonstration of the love of the man for the woman – love not just in words but also in deeds. Lobola is a public acknowledgement that the marriage is genuine. Because of lobola, the husband and wife cannot easily separate and divorce. There must always be discussion with the family members before marital separation. In the olden days, this made marriage more binding. Money has replaced cattle and other gifts for dowry. In many communities, the more the woman is educated, the more the prospective husband is expected to pay. In many cases, it is the man who pays the bride-price (he is usually not yet financially able – depending on different circumstances). The element of greed has distorted the whole meaning of lobola. Because of the heavy expenses entered into in paying lobola and preparing for the wedding, many couples start poor with heavy debts, which puts strain on the marriage right at the beginning. Also owing to the expensiveness of lobola, many (young) people are deciding to cohabit (vat-en-sit) which is both unAfrican and unbiblical. Christian parents, who otherwise do not believe in expensive bride-price or no lobola at all, are put under tremendous pressure by unbelieving relatives. This is more so if the Christian parents cannot stand their ground concerning their faith. Lately some parents use a portion of the lobola to contribute to wedding preparations and some give back to the couple for their needs. By its nature, lobola was so designed that no man, not matter how poor, should remain unmarried because of the importance Africans attached to the marital institution. Except for a few examples (Gen.24: 50-54; 29:16-20; 1 Sam.18: 17-27), the Bible does not say much about the payment of lobola. In those few examples we realise that the bride-price (if ever it was referring to bride-price) was paid according to a person’s ability. Abraham gave of his wealth, Jacob his labour and David had to display a courageous deed. Based on the explanation above, lobola is an accepted practice within African cultures. Parents who are not saved still feel strongly about this practice, with the exception of those who feel that lobola should be spent on the couple or should not be paid/given at all. Lobola should not be a stumbling block to a couple wanting to get married, but the parents’ blessing should be sought before the church marriage (there may be some exceptions, but each case is handled differently and on its own merits). If the bridegroom (or a couple) feels that he does not support the practice of paying/giving lobola, he should communicate with both parents about it; it is not the role of the church to interfere with this matter. We as the church believe that the marriage covenant starts with a blessing from the Lord. A pastor or an elder in the church, as a representative of God, blesses a couple and pronounces them husband and wife. From Genesis 1:28, when the Lord blessed Adam and Eve and said, “Be fruitful and increase in number” and throughout the Scriptures, this practice is seen. The signing of the register is done for the purpose of the Law of the State, so the couple can be acknowledged by the State as married. The marriage certificate serves as proof of marriage. When a couple has signed at the Magistrate’s Court, we acknowledge them as married, but would still advise them to receive the blessing from the church. Some African cultures believe that when lobola has been paid the couple is married; this is normally called traditional marriage. As the church, we do not accept this as marriage between believers due to the fact that the couple has not been blessed by the church. However, if a couple has been traditionally married prior to their being saved, the church accepts them as a married couple and advises them to still be blessed in the church. The blessing from the church has been very much attached to the wedding celebration. When lobola has been paid, the couple can be blessed by the church and then plan for the wedding.